Jelitto-Gorska M, Studniarek M, Durawa A, Marjanski T, Szurowska E. Percutaneous lung needle biopsies – utility and complications in various chest lesions: a single-institution experience. Polish Journal of Radiology. 2018;83:103-108. doi:10.5114/pjr.2018.75825. Jelitto-Gorska, Małgorzata, Michał Studniarek, Agata Durawa, Tomasz Marjanski, and Edyta Szurowska. 2018. "Percutaneous lung needle biopsies – utility and complications in various chest lesions: a single-institution experience". Polish Journal of Radiology 83: 103-108. doi:10.5114/pjr.2018.75825. Jelitto-Gorska, Małgorzata et al. "Percutaneous lung needle biopsies – utility and complications in various chest lesions: a single-institution experience." Polish Journal of Radiology, vol. 83, 2018, pp. 103-108. doi:10.5114/pjr.2018.75825. It is crucial to obtain a specific diagnosis before treatment of chest pathology is initiated. The purpose of the study is to present the utility of percutaneous biopsies, core and fine-needle aspiration, in various thoracic lesions, and related complications. A total of 593 transthoracic biopsies were performed in the Department of Radiology between 2013 and 2016. Fine-needle aspiration biopsy (FNAB) and core biopsy (CB) were implemented. The procedures were divided into four groups according to the location of the pathology: lung lesions (LL – 540), mediastinal masses (MM – 25), chest wall tumours (CWT – 13), and pleural lesions (PL – 15). The lung lesion group was divided into two subgroups: lung nodules and lung infiltrations. All groups were analysed in respect of diagnostic accuracy, pathological findings, and complication rate. Pathological diagnosis was confirmed in 447 cases after all 593 procedures. The sensitivity of malignancy diagnosis in the group of lung tumours was 75% for FNAB and 89% for CB. The sensitivity in other groups, where CB was a preferable technique, was counted for lung infiltration, mediastinal masses, chest wall tumours, and pleural lesions and amounted to 83.3%, 90.9%, 100%, and 85.7%, respectively. In the group of lung tumours malignancy was confirmed most commonly (79%), while in the lung infiltration group benign processes dominated (83%). There was no statistical difference between the pneumothorax rate after CB and FNAB. Haemoptysis appeared more often after CB. 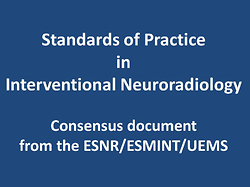 FNAB and CB are useful, safe, and sensitive tools in the diagnostic work-up. They can both be used to diagnose almost all chest pathologies.